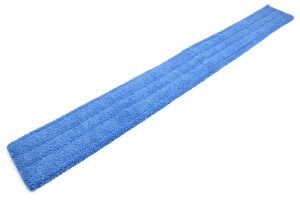 Microfiber Mops are better for Hospitals and Health Care, than traditional Mops for several reasons. 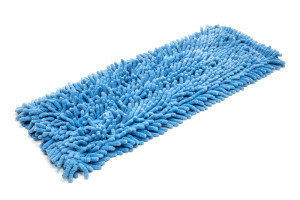 Clean more effectively - The microscopic fibers scrub surfaces, and absorb debris and liquid better than traditional cotton mops. 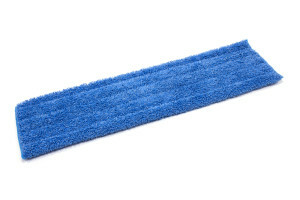 Require less (or no) chemicals - The mechanical scrubbing action of the microscopic fibers, and the high absorbency means you need less chemical to clean the same area. 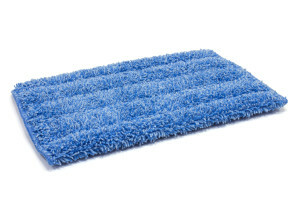 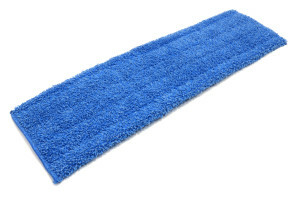 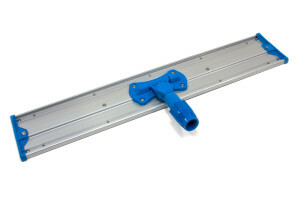 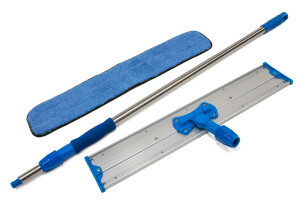 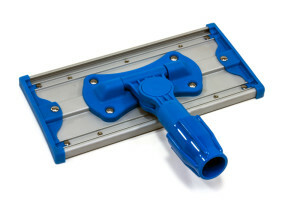 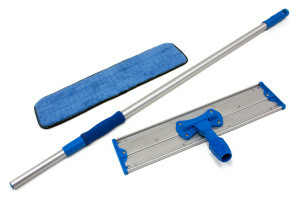 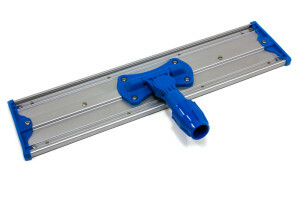 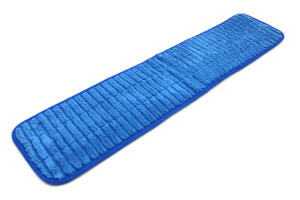 Lighter Weight - Microfiber flat mop heads are lighter and easier to control than traditional string mops or sponge mops. 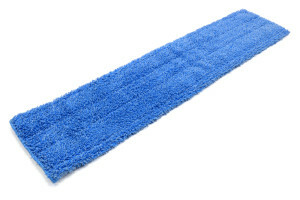 Require less water - Microfiber works best when damp (not soaking wet), which means you don't need a bucket of water to mop with.